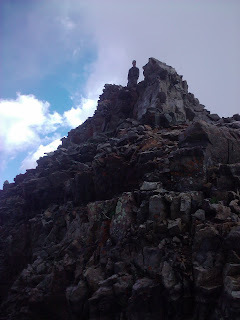 Brian and I decided on a climb of Pyramid Peak on September 11, 2010. I had planned to climb it earlier in the summer, but hit a cow elk just outside of Leadville which ruined that weekend. 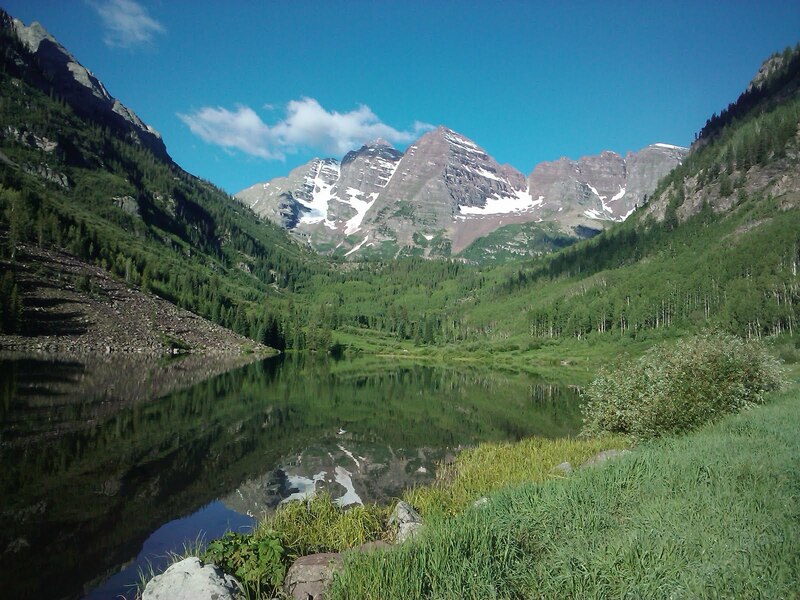 I made sure I didn't roll thru Leadville at dusk to avoid the wildlife and spent the night in the Maroon Bells day parking lot. The overnight parking was full, but nobody bothered me since I slept in the cab. Brian arrived from New Castle and we headed up the trail past Maroon Lake. The start of the trail to Pryamid is easy to miss, but we caught it and hiked the switchbacks to the boulder field. 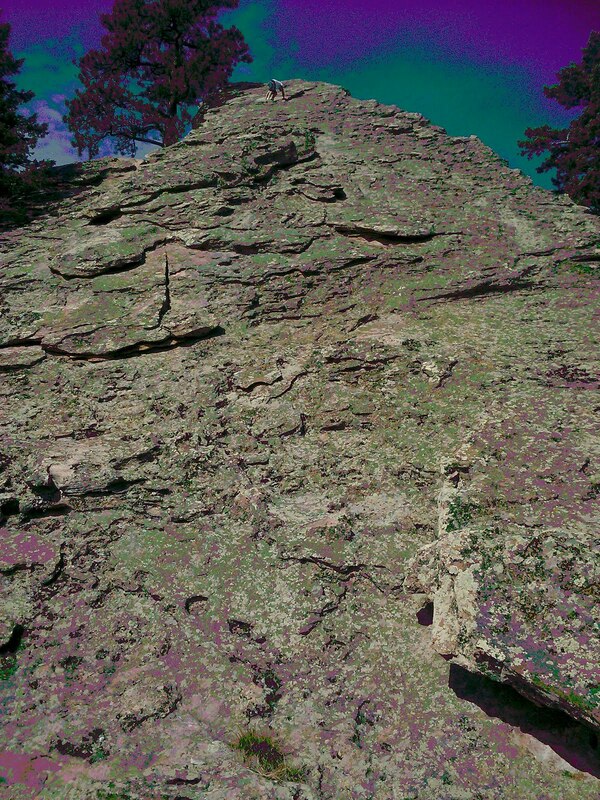 The climb up across the boulder field is a bit tedious as the Peak looms over you. If the boulder field is tedious, it is not as bad as the slog up to the pass. This section was steep and slippery. We were greeted at the pass by a small herd of mountain goats. Finally the climb starts to get fun. We found the gap where you have to jump over about a three foot opening. 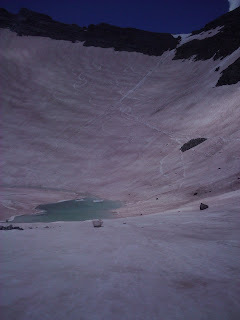 Then we shinnied our way across the cliff traverse. This was an interesting section, but not too exposed. As the terrain gets steeper the rock gets smoother. This is rated class 4, but I didn't feel it was any trickier than a lot of class 3 I've been on. I guess I'm getting some comfort on this level of rock after much climbing in the Flatirons. 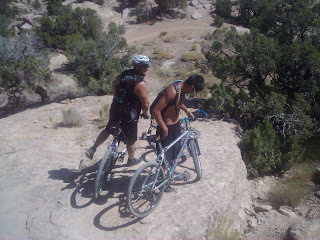 A couple of climbers past us on this section and one kicked a rock down on us. It was easy to dodge and he apologized at the top. Later that month I learned that Don (peakcowboy) had died on Kit Carson. 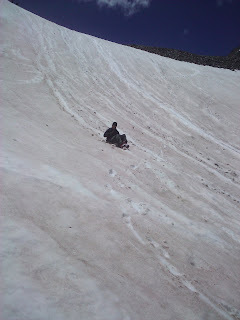 He had wanted us to join him on Snowmass the same weekend we climbed Pyramid. I only made the summit of three 14ers this year, but next year I plan to finish the Elks. I will also attempt Sneffels, Wetterhorn, and the Wilsons. 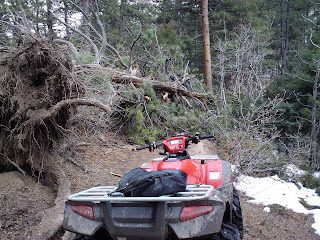 We made a trip up to Rampart Range only to find the trails closed. The ranger there was very pleasant and professional. 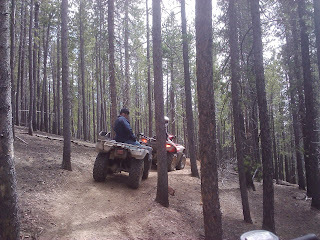 He gave us a map and told us that the Rainbow Falls area outside of Woodland Park was open for riding. We decided to make the trip. 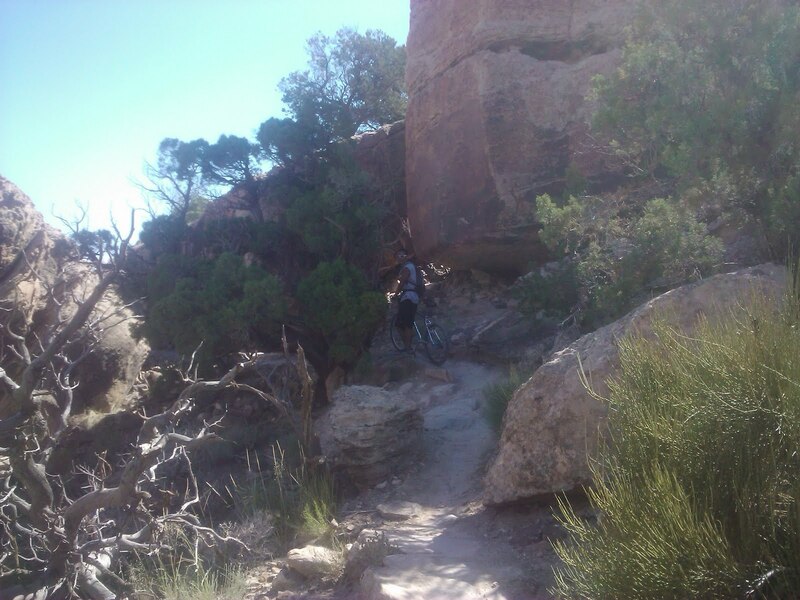 We took a quick loop around what I think was trail 348. 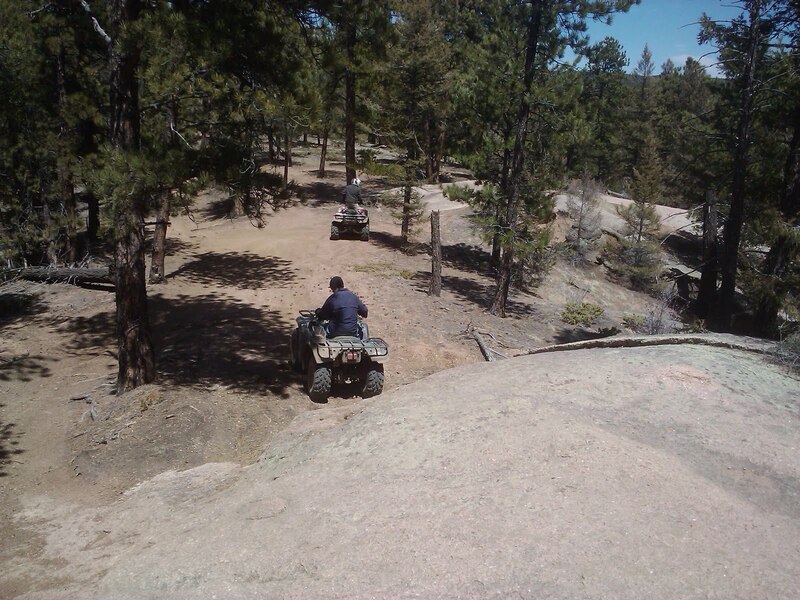 This trail has a nice technical section to challenge your skills whether ATVing or Jeeping. We then took the ATV only trail 633 which has a fun little rock to climb (more later). See picture. 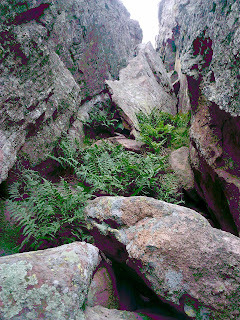 This lead to trail 631 which was the most interesting of the day for me. 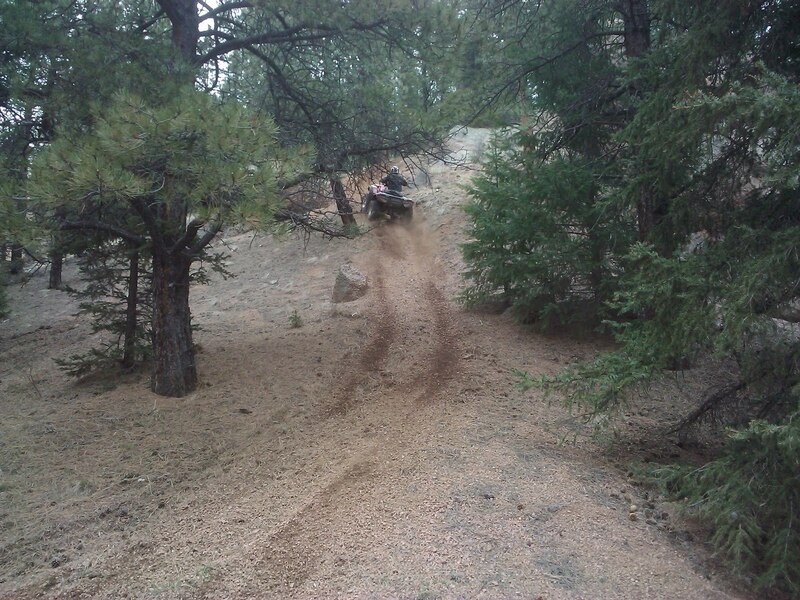 The trail winds through tight trees and is a joy to ride. We came back to our rock and three of us made it, but John didn't. 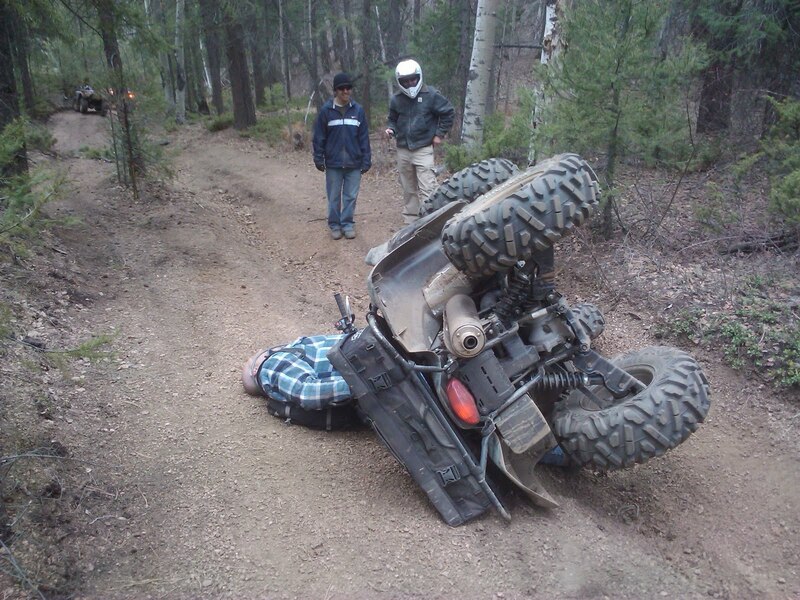 He wrecked his bosses ATV! He then wrecked it again in a rutted down hill on trail 634. Mt. 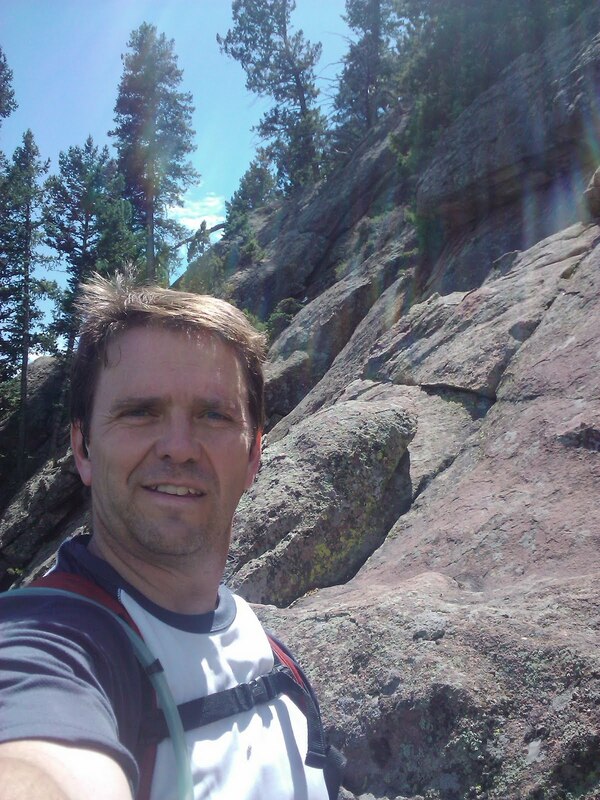 Sherman - I would like to get a 14er descent in, so I thought this or Quandary would be an easy option. Dalton joined James, Matt, and I for another early spring trip to ride ATV's at Rampart Range. 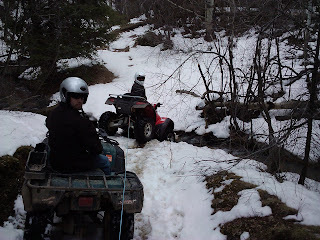 Last time the snow drifts were a bit much and we got stuck many times. At first my old Yamaha 400 had trouble with the snow drifts. The drifts were smaller and no trouble for the newer machines, but we had just a bit of trouble with the old girl. 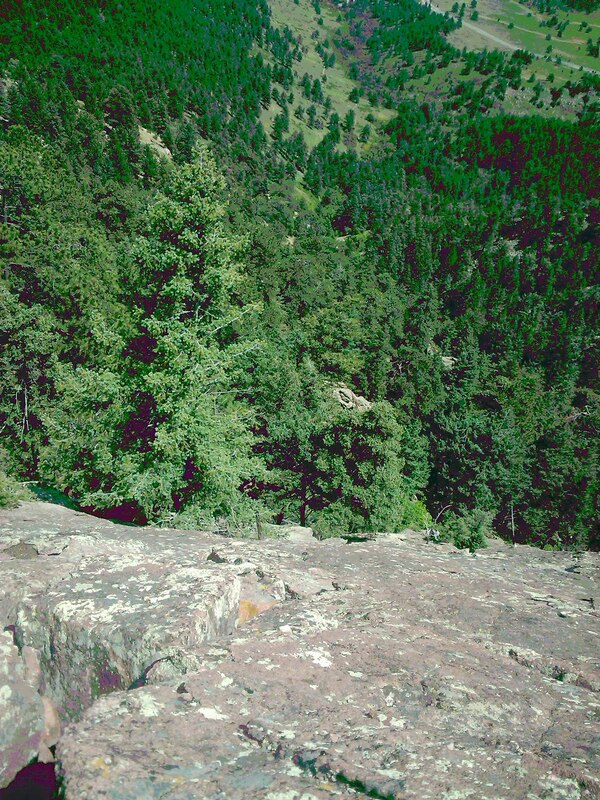 We started down trail 673, but after removing many downed trees from the trail we came upon a large pine that was not removable. We decided to turn around. Next we went on the Overlook trail and got further than last time. Last time the snow drift just past the creek turned us around. 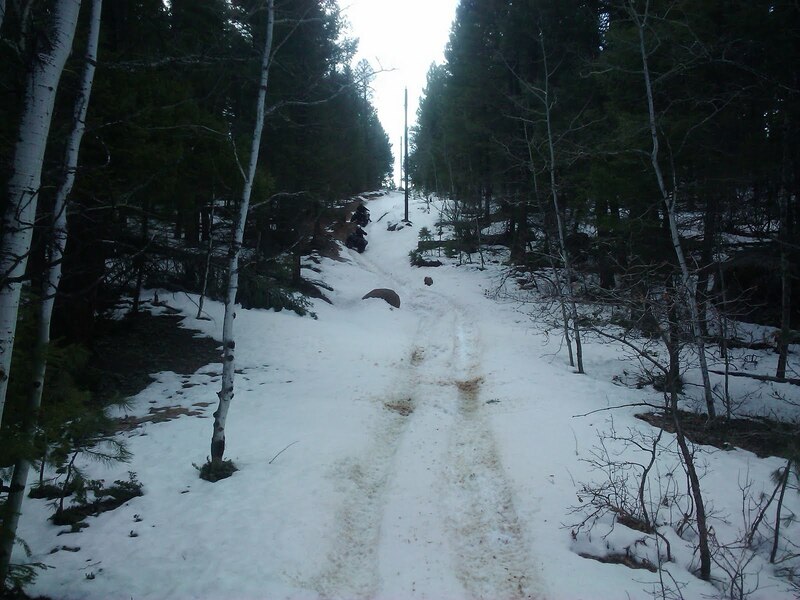 This time there was less snow, but as the trail comes back around and crosses the creek again we encountered a crossing that had been washed out. The snow drift on the opposite bank was a further complication. Again we had to head back the way we came. We then chose to try Scotty's. Scotty's is a very fun trail with many whoop-te-dos, and burns. We finally found the section that gives Scotty a black diamond. 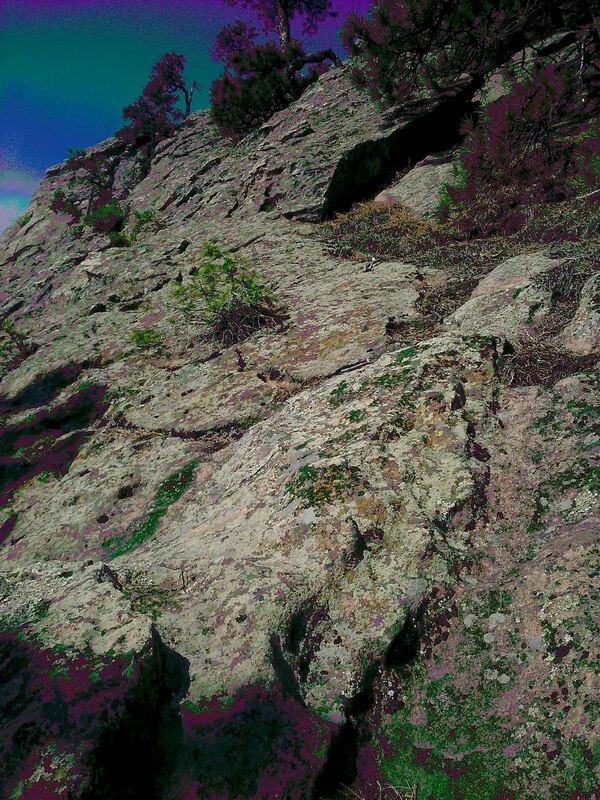 This large sloping rock was a bit too steep for us to go down. Next time we hope to come up it. Another great day at Rampart. Michelle and I took a much needed Valentine weekend to Nashville. We are both country music fans and wanted to get to the Grand Ol Opry at least once in our lives. This is an outdoorsy blog, so I will spare you the tourist stuff until the end. First I will document my trail run at Stones River Greenway. Stones River Greenway is a nice paved trail that follows the Stones River down from Percy Priest Lake. 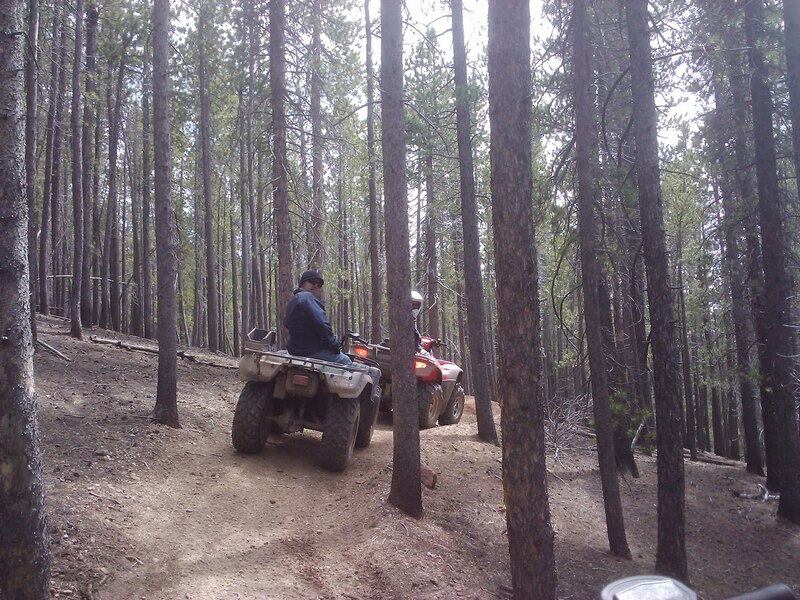 The scenery is cool as you wind your way through the trees. 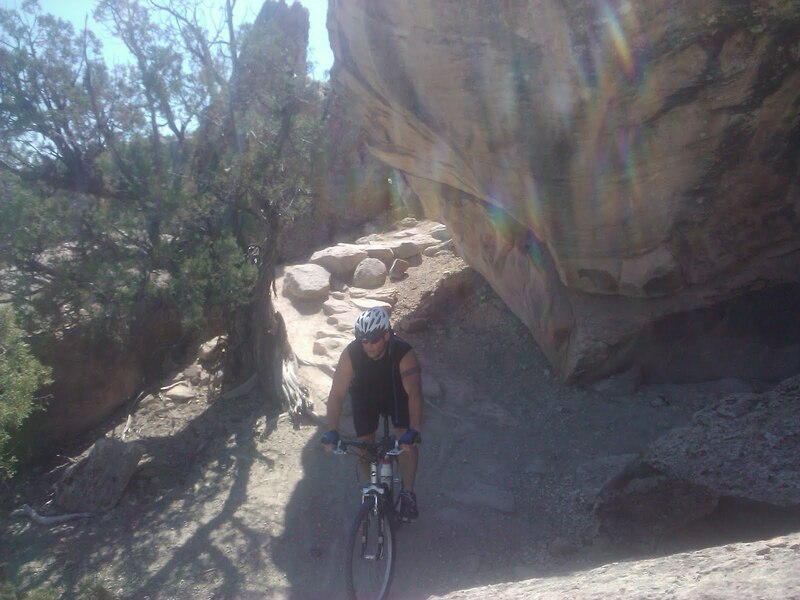 Parts of the trail get interesting when you make your way onto a canti-levered bridge system. I had taken the wrong spur trail which lead past some nice old buildings. This added a couple of miles to my planned 6 mile out and back. Just past the Kohl's parking lot you cross the Stones River on an old structure bridge. At this point two gals past me on the run. On the return portion we came to a lengthy hill. I could here the girls behind me saying they wanted to beat me up the hill. 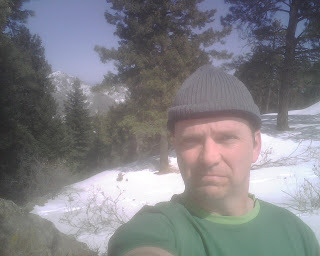 Well this Colorado trail runner is not going to let a couple of Tennessee runners beat me on a hill, no matter how out of shape I feel. Back at the trail head I spotted some guys bouldering just across the river close to I-40. This got my desire up to try a little scrambling while I was in Nashville. Although I have no other Nashville climbing areas to compare it to, this is a nice place to climb. Most of my time in Nashville was spent pursuing country music. Michelle and I seen Dierks Bentley, Montgomery Gentry, Diamond Rio and many others at the Grand Ol Opry. The next two nights we headed downtown to the honky-tonks to listen to some hungry artists. The atmosphere in Tootsie's Orchid Lounge was much livelier than any other bar. The line dancing and huge stage at Wildhorse Saloon was not my style. I hit two breweries in Nashville: Blackstone and Big River. I also visited my first liquor store that did not sell beer. We visited the Belle Meade plantation. Oh yeah and we went to Willie Nelson's museum. 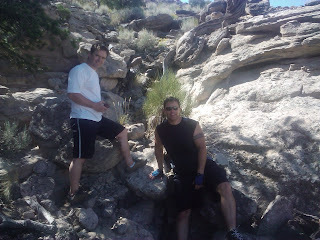 I'm training for a half-marathon in St. George in late April. My training schedule called for a six mile tempo run, but I was tired of running the trails close to home. I decided to see how much snow was on Mount Falcon. My plan was to take the Parmalee loop, then out and back on the Two Dog trail. There is still plenty of snow on Mount Falcon, but most of the paths are packed. I did have to post hole a bit on a short section of the Meadow trail. Other places were melted off and quite soggy. There were some folks in snow shoes, but I found the trail running to be fun. You do have to watch your footing a bit. The views of Denver were cool from the Two Dog trail, but a bit hazy. 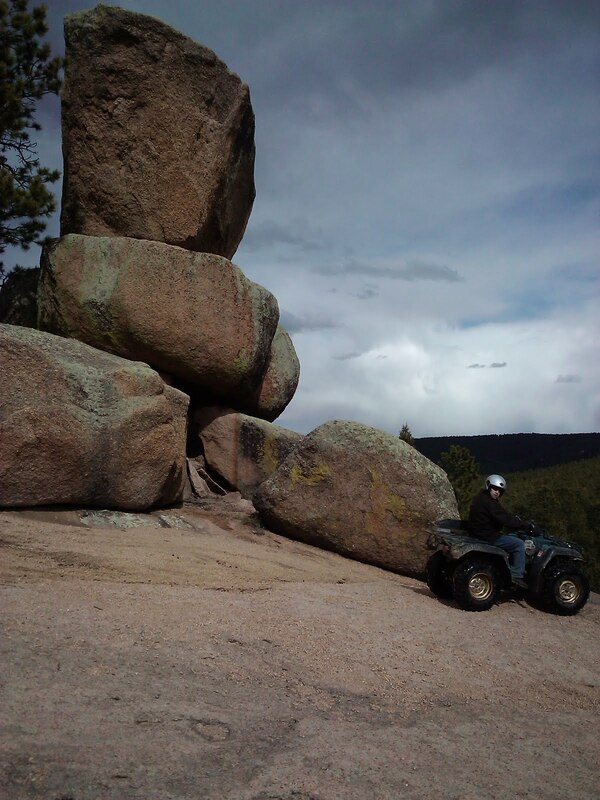 From here you also get great views of Mount Evans and Red Rocks. I had to work late Friday, so I was looking for a good day trip scramble for Saturday. The North Ridge of Quandary seemed to fit the bill. 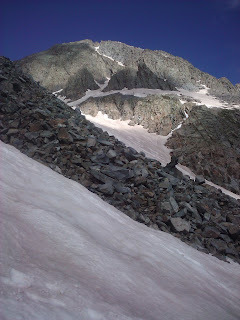 This route stays to the left of the 14ers.com Route #4 North Gully aka Quandary Couloir on the ridge and better rock. 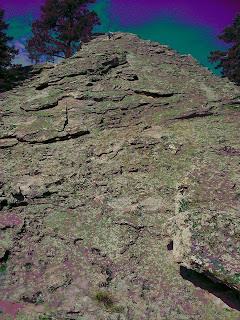 Roach calls this the Inwood Arete and Cooper calls it the North Ridge. As we drove up to the standard trailhead it was amazing how many cars lined the road. It seemed like everyone was climbing Quandary. 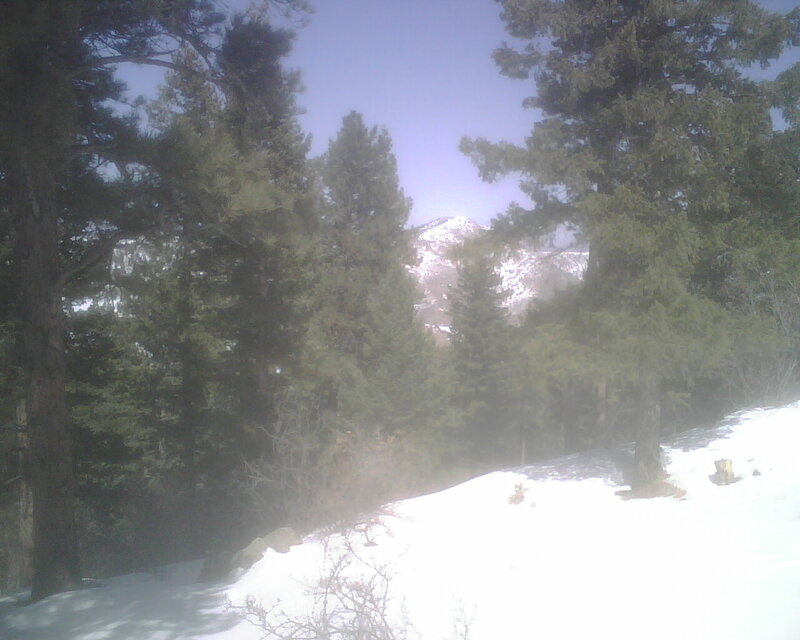 From our trailhead at McCullough Gulch we could see that there was snow on the upper ridge. This along with the clouds building made us ponder whether we should attempt the climb. We decided to hike to the lake and assess it from there. At the lake (N39 24.320 W106 05.800) we left all other hikers behind. The clouds had dissepated and the snow above was out of site. We decided to scramble and go up as long as we could safely retreat. The first pitch allows you to choose how technical you want to climb. We picked a line that was probably lower class 5. 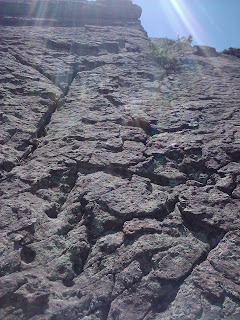 The rock is fractured granite with many holds. As you approach the gendarmes 500 feet above the valley, we stuck to the nice scrambling just to the right of them. You could climb these towers if you enjoy exposure. Sticking to the ridge crest is recommended. Often it looks as if you could be climbing into trouble, but the ridge always either continues or provides an escape. 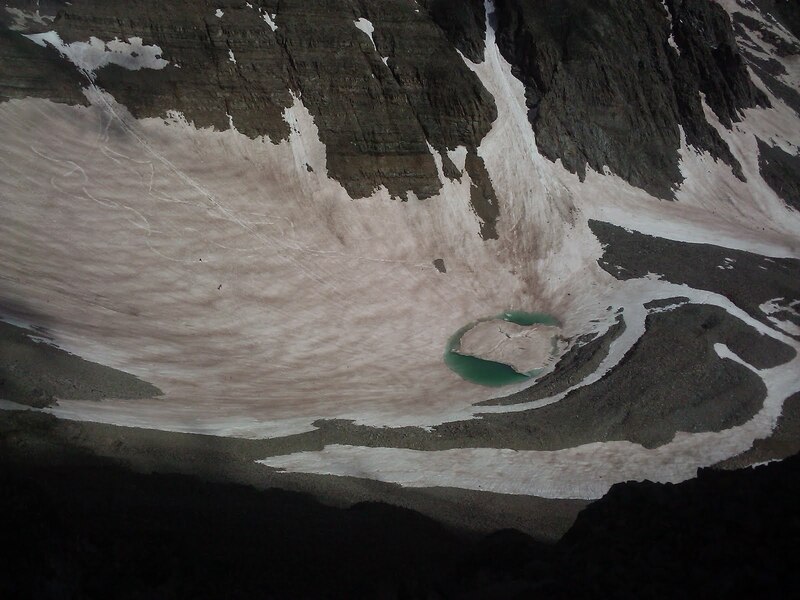 At around (N39 23.951 W106 06.051) the snow patches were becoming more prevalent. The snow was fine for making steps, but not deep enough for an ice axe to be useful. I would not have used crampons either as the snow/rock mix heavily favored the rocks. Here we chose another 5.4 pitch just to get away from the snow/scree slopes that made each step tenuous. 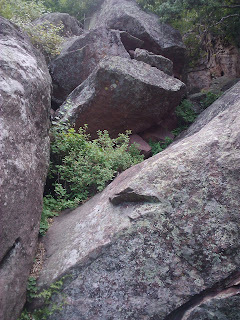 We weren't sure where this rock would lead us, but abruptly we were deposited on the gentle East slopes of Quandary. We cruised to the summit as some more serious clouds were building to the West. We didn't stay on top long and its a good thing. As we descended the standard route the snow started flying and my ice axe started to sing. Dalton's hair was sticking up too so we motored down the trail. We left the trail at (N39 23.597 W106 04.933) which turned out to be a good place to traverse back to the pickup. We bushwacked down grassy slopes mixed with scree fields. Further down the scree turns to talus and the angle increases. We found a couple of abandon mines, but no mushrooms as we made our way back to the road. It was a short walk up the road to the truck at McCullough Gulch trailhead. If you attempt this route in the next couple of weeks, you should consider how comfortable you feel climbing on snowy rock. Good luck.